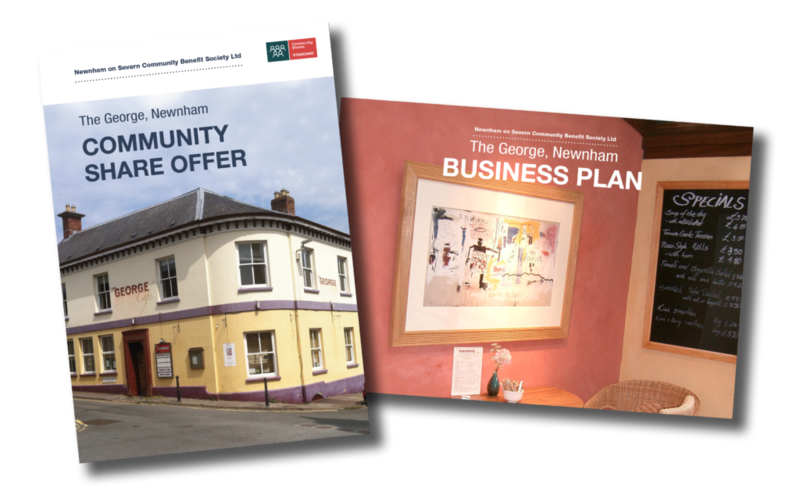 The aim of our community share offer is to raise money to buy The George in Newnham on Severn and convert it to a multi-use community hub. The offer is open from 1st to 31st March 2019, although we may extend the deadline in order to reach our target. Our overall fundraising target is £500,000. Of this, we hope to raise a minimum of £150,000 through community shares. Money raised over and above this amount will be used to cover operational costs and reduce our long-term liabilities. If we fail to meet our £500,000 target and are unable to buy the building, shareholders’ money will be refunded in full. If you would like to find out more about our community share offer, we recommend you to read our Share Offer Prospectus and accompanying Business Plan, which you can download by following the links below. To purchase shares, you will need to fill in and return a Share Application Form which you can also download here.